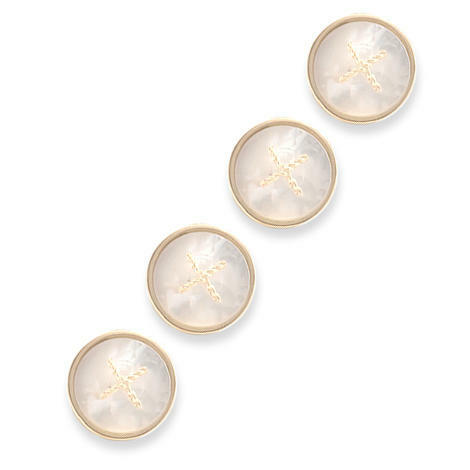 Button dress studs in 9ct yellow gold with gold cross stitch and mother of pearl. I have often seen old cufflinks 'stitched' with gold stitches and this is my own version as dress studs. From Cassandra's Classic Collection..
Each cufflink measures approximately 8mm in diameter.